What’s your CPUC ID number? 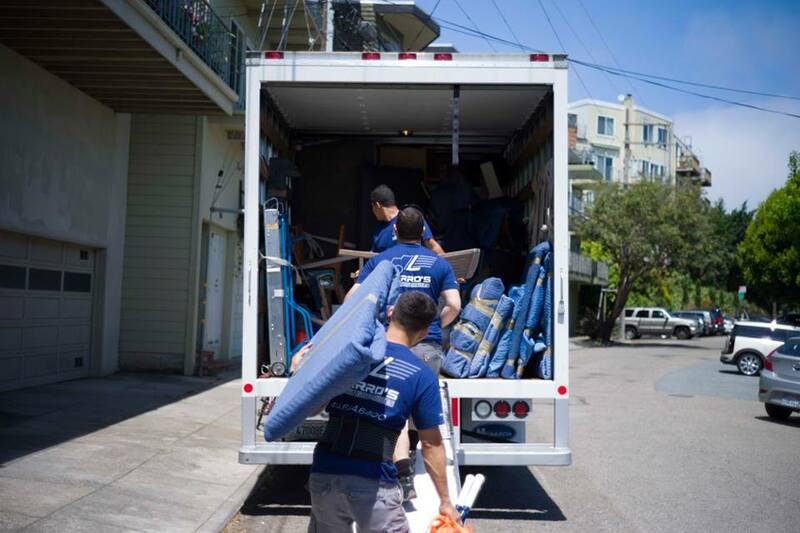 A major problem facing today’s moving industry is unlicensed movers, which take advantage of unknowing consumers and take business away from legitimate companies. Since hiring an unlicensed mover can put you in a bad situation (as most don’t carry liability or workers’ compensation insurance), you need to be intentional about finding a reputable company. There are a few ways to go about this, but the simplest is to ask a mover for their Carrier ID number with the California Public Utilities Commission (CPUC). Since all moving companies in California must be registered with the CPUC, this provides a reliable form of verification. You can also look up a mover on the CPUC website. What are my liability coverage options? When transporting your belongings between locations, you need assurance they’ll be covered in the event of loss or damage. However, liability coverage can vary with moving, so it’s important to find out what options are available to you. Keep in mind that movers don’t offer insurance—in fact, it’s illegal for them to do so. Instead, they offer “value protection,” whereby they assume liability (to a varying degree) for your shipment. The most basic level of liability coverage is known as Released Value Protection. At $.60 per pound per item, this is the minimum amount of coverage movers are legally required to provide. The plus side of Released Value Protection is it’s free; the downside is it doesn’t cover much. For example, if a 50-pound furniture piece valued at $1,000 is damaged, under Released Value Protection, you would be reimbursed a mere $30. That’s why, if you have a lot of high-value items, you should opt for a higher level of coverage. The next step up from Released Value Protection is Full Value Protection, whereby your mover assumes liability for the replacement value of any lost or damaged items. Keep in mind that your mover can choose whether to repair or replace your lost/damaged items, or reimburse you for their fair market value. Also, Full Value Protection represents an additional cost that will vary depending on your mover and deductible amount. Another option is to purchase moving insurance from a third-party insurance company. In this case, your mover remains liable for Released Value Protection and your third-party insurer covers the remainder, up to the limit of the policy you’ve purchased. Talk to your mover about value protection and choose a level of coverage that makes you feel comfortable. Can you provide a binding not-to-exceed estimate? Non-binding estimate. Your mover provides an estimate of the cost to transport your shipment (based on weight). When the shipment is weighed on your moving day, this determines the actual cost of the move, regardless of what was initially quoted. Binding estimate. You pay the original estimated price, even if the shipment weighs more than expected. However, if it weighs less, you’ll still pay that price. Binding not-to-exceed estimate. You won’t be charged more than the originally estimated price, but you’ll pay less if the shipment weighs less than expected. Typically, a binding not-to-exceed estimate is your best option, as you’re protected from overpaying whether your mover over- or under-estimates. Be wary of non-binding estimates, especially if it’s the only option offered to you—since they have no bearing on the final price, it’s an easy way for illicit movers to take advantage of customers. Additionally, your mover should come to your home and perform the estimate in person. If they resist this request, call someone else. Most moving companies charge extra for services that fall outside the basic parameters of packing and transportation. To avoid racking up extra charges unknowingly, find out exactly what is and isn’t included in the base price of your move. Some things your mover may charge extra for include packing supplies, additional stops, elevator carry, hoisting, long carry (if the load has to be hand-carried an excessive distance from the truck to the home) and shuttle service (if your items have to be transferred to a smaller truck due to limited access). By getting a list of additional services, you’ll not only know what fees to expect, you can also take steps to avoid them. For example, reserving a parking spot near your home or building can help you avoid long carry charges. Do you have a storage location? Moves aren’t always as simple as transporting items from one location to another. For instance, if you need to vacate your old residence before your new one is ready, you’ll likely need temporary storage for your shipment. Fortunately, many moving companies have storage facilities to provide for these needs. If your mover does, make it a point to visit the location and assess its quality and security. If your mover doesn’t have storage capabilities, you’ll need to arrange for this with an outside party. Keep in mind that your mover will charge you a storage-in-transit fee for this service. You should also verify that your shipment will remain under liability coverage during its stay in the storage facility. To find a Diamond Certified moving company in your area, visit www.diamondcertified.org.